This leather hybrid Badge Bifold securely keeps your badge in place along with your credit cards and cash, all while staying thin. 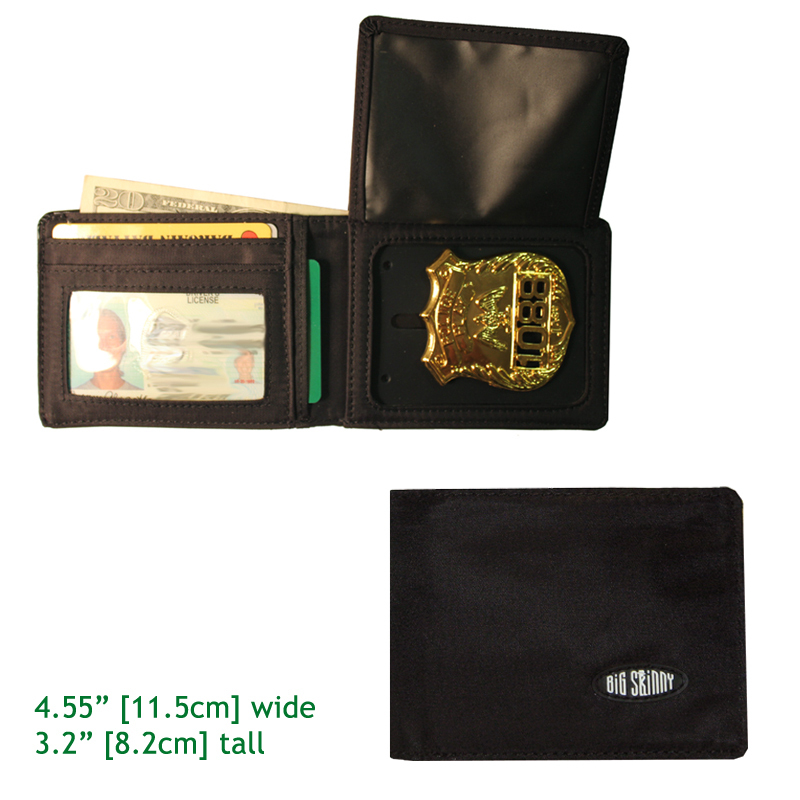 A flap keeps your badge concealed and the badge section is recessed, making your shield flush with the wallet. Badge gets secured to a rubbery backing to keep it it from shifting around in the wallet and is also easily removed if necessary. Wide, rounded badge section accommodates a variety of different badge sizes and shapes. Wallet is flexible and comfortable to carry. By Bill T. Belgrade Mt. I first purchased just the badge and ID wallet not realizing that it did not have a place to put bills. c/cards and or ID's. Decent wallet for the money!!! A good overall wallet but the badge holder that comes with it is not that great. So I have had this wallet over a year now and it was great up until about month 7-8. Now the badge will fall out every other time I open my wallet because the black rubber part isn't being held in by the leather frame anymore so I have to use tape on the back and try to be more careful opening the wallet which isn't ideal if you need to pull it out and display the badge. Was my favorite wallet until it stopped securing the badge so now have to start looking for a better option unless they have been improved. ProsHolds plenty of cards and money while staying thin. The leather on the outside has held up great. This is my second Big Skinny wallet. I purchased the "Badge" wallet this time. It functions well as a wallet, but fails miserably as a badge holder. The rubberized portion that the badge clips on will not stay in wallet very well. When you open the wallet, it falls out at least 30% of the time. I will not purchase this wallet again and plan to replace it soon with another brand. ProsHolds money and a few cards. This wallet is thin and great in your pocket. 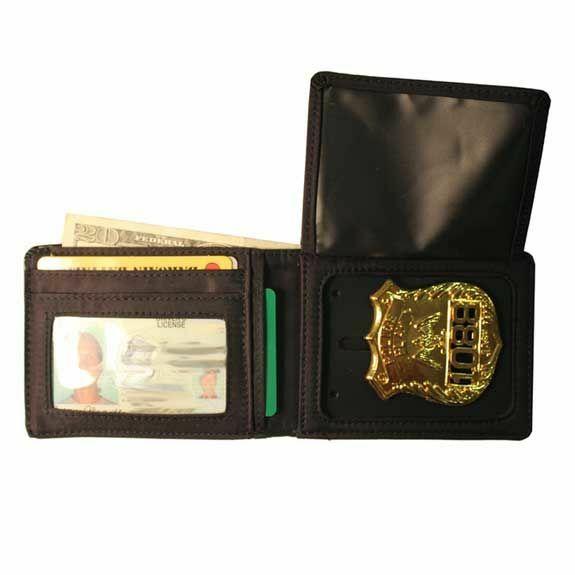 Stumbled upon this company searching for badge wallets. So glad I did!! Very thin but tuff enough to wear without discomfort. Perfect for front pocket use. Great product, fast shipping and no hassle transaction. Thumbs up! I still cannot believe how much thinner this is than my usual thick badge wallet. I must have told 25 people in the first 3 weeks. wow.